We are sharing excerpts from the “Clovis Greeting,” published in 1903 by poetess Mary Fletcher Norwood. We were unable to document her arrival and life in Clovis. The Hoblitt ad read: “Open to the public Jan. 20, 1903. Cor. Fourth and Pollasky Streets. Clovis, Joshua C. Hoblitt. New and Modern in all its appointments. Well managed.” The Bistro restaurant is located in that historical hotel on the northeast corner of Fourth & Pollasky. Dr. T. R. Clark ad: “Physician and Surgeon. Office at residence. Telephone connection on all lines.” Dr. Clark arrived in Clovis in 1899. He built a two and one half story home on the southwest corner of Fourth and Pollasky. In 1913 Dr. Clark sold his home to Arthur Boice who converted it into a funeral home. The historic home was demolished in 1955 in an effort to “modernize” Old Town. Fourth Street Antiques now occupies that location. Ad: “Fresno Flume and Irrigation Company, C.B. Shaver, President, A.B. Long, Vice President. First National Bank, treasurer, C.W. Musick, Secretary. Incorporated Oct. 31, 1891. Capital Stock, $500,000. Manufacturers of and dealers in Sugar Pine, White Pine and Fir lumber. Also boxes, trays, shakes and all kinds of building material. Timbers in extra sizes and lengths a specialty. Thirty million feet of lumber shipped this year. One thousand employees with every reader good cheer. J.G. Ferguson, Financier.” The historic site is now occupied by Clark Intermediate school and the Clovis Rodeo Association. Ad: “Mrs. C.M. Cole. The Clovis Hotel (located North West corner of Fourth and Clovis Ave.).” Mrs. Cole was the wife of Clovis M. Cole who arrived in Clovis in 1872. Clovis became the “Wheat King of the United States”. In 1891 Clovis and his wife Elizabeth sold a square acre of land ($4,000 gold coin) to Marcus Pollasky for the San Joaquin Valley Railroad right of way. The Depot was named after Clovis and his name was retained when the city was incorporated in 1912. Clovis stopped farming in 1898 after successive years of drought. He opened a farm machinery shop in Clovis and his wife Elizabeth became manager of the Clovis Hotel. 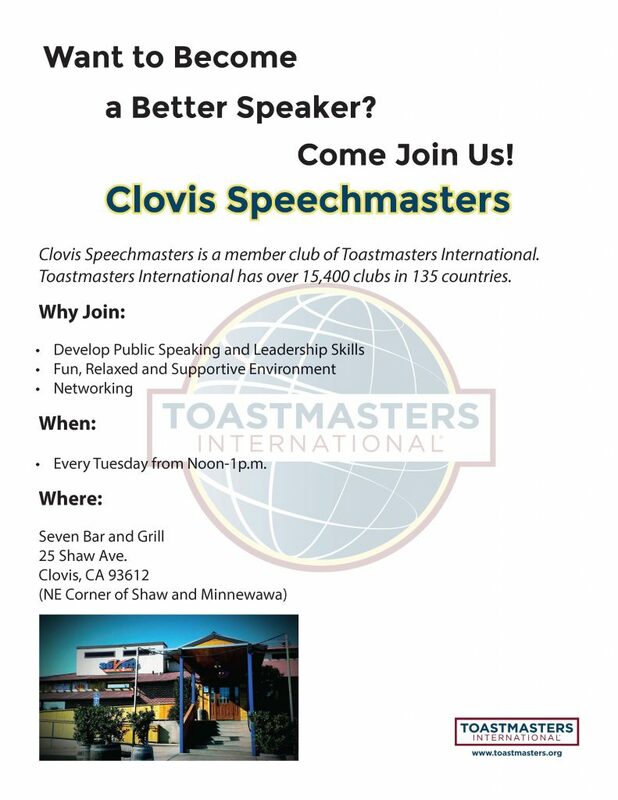 Ad: “Clovis restaurant and bakery. Fresh oysters all the year around. Mrs. E.R. Sunderland.” Her husband “Peg Leg” was a Civil war veteran that had lost his right leg in battle. The Sunderland’s established a popular bakery, tobacco and ice cream parlor directly west of the mill on Clovis Ave in 1900. Their son Al would be elected Mayor of Fresno in 1925. Ad: “The Season’s Greetings from Samuel C. Herring, Physician and Surgeon. The Big Drug Store in Clovis.” Dr. Herring arrived in Clovis in 1895 (first doctor). His drug store was located on Clovis Ave. north of Tom Coddington’s Barber shop. Continued north of Dr. Herring’s store: Harvey’s Grocery store, OK Saloon, and Ingmire Livery Stable. Dr. Herring’s location is now occupied by Bobby Salazar’s restaurant. Poetess Norwood is a part of our rich heritage.